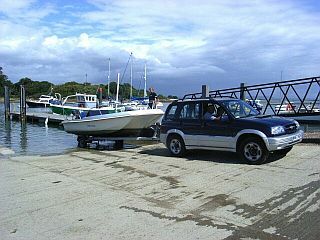 Trailer sailers and day boats (which form a significant part of our business) can be easily launched and recovered from alongside the service pontoon using a relatively steep incline concrete slip which lies to the side of the main, broad slipway primarily used for hauling larger craft on our purpose built cradle. On the western side of the slipway we have an area of hard which allows craft (particularly multi-hulls) to take the ground for maintenance, surveys or in preparation for being craned ashore. 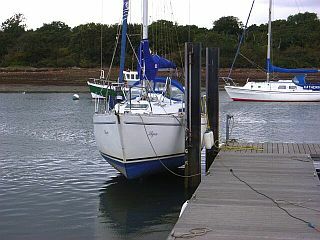 Alongside the seaward end of the pontoon, a pair of scrubbing piles with a concrete apron allow fin keel yachts of up to 2m draft to dry out for maintenance. Electricity and water supplies are available. The service pontoon allows free short term berthing for loading/unloading of crew and stores. Stays of over twenty minutes are not permitted for any craft other than in exceptional circumstances and subject to the prevailing tarrif. Craft taken ashore for winter layup or essential maintenance/repair are positioned using a Coles fifty ton All Terrain Crane which is subject to regular independent testing. 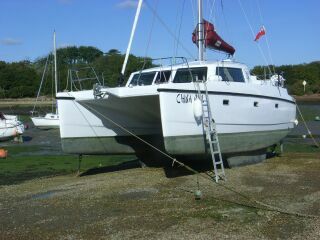 In practice it is normally rigged to lift craft of up to 14 tons, for stepping/unstepping masts and for engine lifts. Depending on keel configuration, craft will either be supported on blocks, purpose made cradles or, more usually, timber shores; experience has shown these to be the most secure method although more labour and material intensive. The primary advantage is that they can be tailored to suit the individual hull taking into account its strong points and construction. 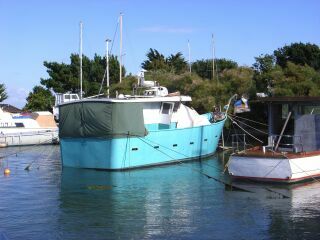 Owners are encouraged to work on their boats and ample power and water points are available throughout the yard. Reasonable use of electricity for hand tools is not separately chargeable. 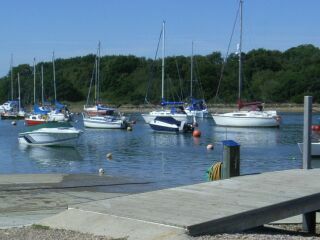 Being a tidal creek our moorings are accessible for approximately three hours either side of High Water. Arranged in two principal areas, the western group are particularly sheltered from prevailing winds and occupy the area of the creek nearest to the yard. 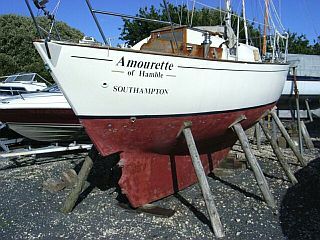 Boats are moored fore and aft using a yard provided chain strop for the bow and a rope strop at the stern. For ease of use these are connected by a sinking line with a centrally positioned picking up buoy. On return to the mooring it is simply a matter of recovering the pick-up buoy and bringing in the most appropriate strop depending on the wind/tidal conditions. Once secured the sinking line is then used to recover the other strop. 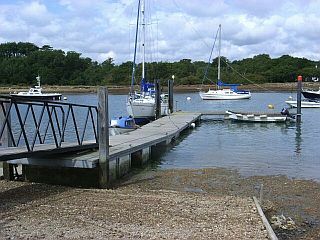 The eastern moorings offer slightly deeper water; when there is sufficient water for dinghies to leave the slipway, boats on these moorings are likely to be afloat. Modern Ladies and Gents shower and toilet facilities are available for owners and their guests.